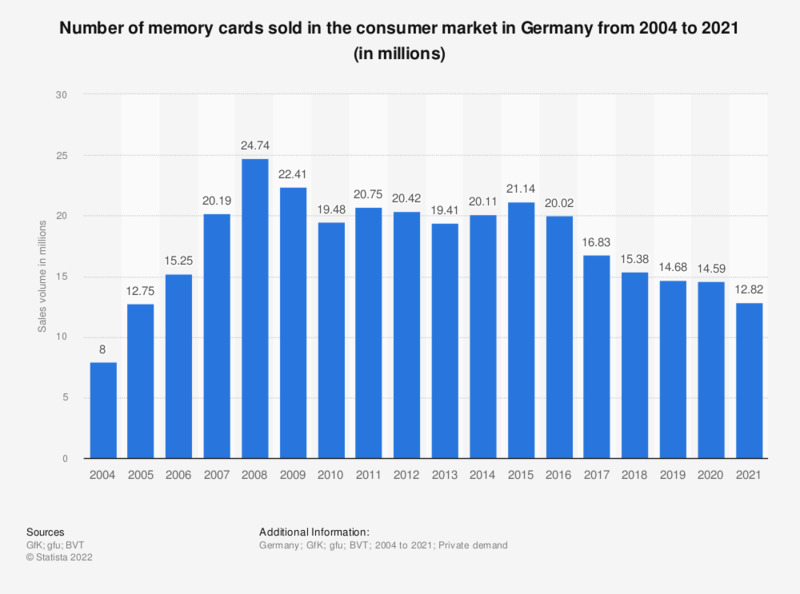 This statistic shows the development of the number of memory cards sold in the consumer market in Germany from 2004 to 2017. In 2017, roughly 17 million memory cards were sold in Germany. The Home Electronics Market Index (HEMIX) is focused exclusively on the consumer market (private demand).